–Waleed Iqbal says Iqbal was man ahead of his time–Arif Nizami says govt should act to curtail inflationLAHORE: On the 81st death anniversary of Allama Iqbal a seminar on the topic ” Iqbal and Economy” was held at Aiwan-e-Iqbal where the panellists discouraged the concept of interest, loans and usury. Further, the seminar was attended by Aiwan-e-Iqbal Complex Chairman and Pakistan Today Editor Arif Nizami, Senator Waleed Iqbal, journalist Orya Maqbool Jan and Sajjad Mir. Waleed Iqbal, the grandson of Allama Iqbal, said,” Economy is a hot topic these days and I am happy to discuss his thought on the economy. Iqbal’s philosophy of economy was an interest-free economy, he said. He said Iqbal was against loans and the government should follow his vision to rid the country of contemporary evils. BAMAKO: Gunmen attacked a Malian army base in a dawn raid on Sunday, killing 12 soldiers and burning the camp in west-central Mali, a local lawmaker said. Central Mali has in the past few years been overrun by jihadists with links to al Qaeda. The unidentified armed assailants attacked the base in Guire district at 0500 local time (0500 GMT) after approaching in a convoy of 11 vehicles, local lawmaker Niame Keita said. In a post on Twitter, the army confirmed there had been an attack and said it had sent reinforcements, without giving further details. In March, an al Qaeda affiliate said it was behind a similar overnight attack on an army base in the central region of Mopti in which 16 soldiers were killed. At least four Pakistani nationals were among the 35 foreigners who were injured in a series of blasts that targeted popular tourist spots in Sri Lanka as Easter was being observed on Sunday. The blasts that targeted high-end hotels and churches claimed the lives of over 207 people and left 450 others injured. Pakistan Foreign Office Spokesman Dr Muhammad Faisal confirmed that three Pakistani women and a child were among the casualties but only suffered minor injuries. Earlier, Human Rights Minister Shireen Mazari claimed on Twitter that at least five Pakistani women were injured in one of the blasts at a hotel. Confirming that one Dutch national was among the victims, Dutch Foreign Minister Stef Blok said he was horrified by the Easter attacks. ISLAMABAD: A survey conducted by Punjab Commission on Status of Women here Thursday revealed that early marriages and early motherhood restrict choices for women to participate in any kind of activity. According to the survey report, women in general and young women in particular face barriers that restrict their economic mobility and work. Punjab has population of 110 million, with 49 percent women in which literacy rate is 69 percent for the young women compared to 80 percent for men. Survey revealed that 16 percent of women are married before 18 and only 3 percent of young women are married before the age of 15 or 12 percent gave birth before the age of 18. Survey shows that about 9.5 percent of young women have attained a B.A degree and above, of which 17 percent are urban, compared to 4.8 percent of their rural peers. ISLAMABAD: The Christian community celebrating the Easter on Sunday across the world, including Pakistan with special prayers of peace and prosperity for the country. Strict security arrangements were put in place at churches around the country. In his felicitating message to the Christian community, Punjab Chief Minister Usman Buzdar saidthat all minorities in Pakistan are enjoying equal rights and the government has taken concrete measures for their welfare. He congratulating the Christian community and wishing all Christian citizens a happy Easter. He asserted that the Christian community is playing its due role for country’s progress. 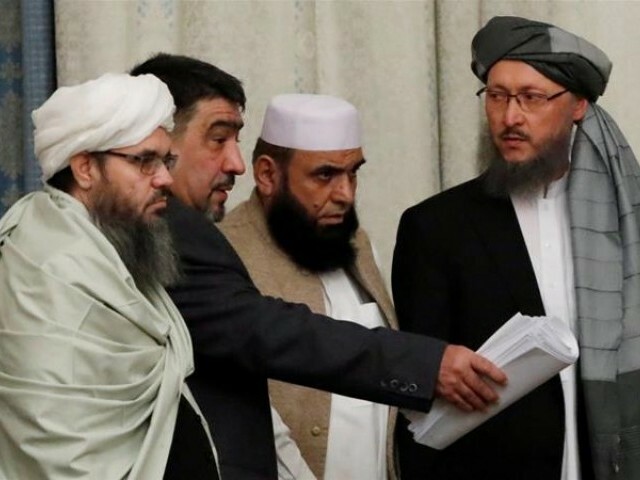 Politi­cal spokes­person says detail­s of total pull-out needs to be fleshe­d outDOHA: Upcoming talks between the Taliban and the United States will focus on the timetable for pulling all foreign forces from Afghanistan, according to a senior Taliban member. “In our last round of talks with the US side, we agreed with them on withdrawal of all foreign forces from Afghanistan,” Shaheen said late Saturday in Doha. In return for a withdrawal, he said the Taliban have committed to preventing terror groups using Afghanistan as a safe haven or for launching attacks on other countries. Shaheen spoke to AFP in Qatari capital Doha, which has become the main hub for Afghanistan peace talks and once hosted a political office for the Taliban. “Right now, we do not have any office,” Shaheen said. 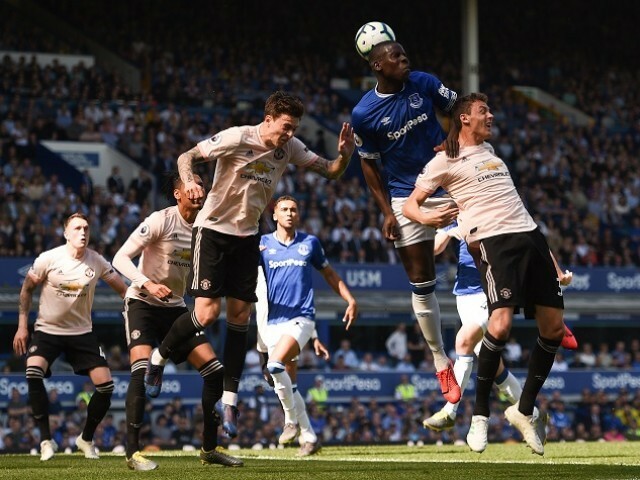 United looked second best even before the hosts scored twice inside the opening half-hour, conceding a succession of corners from which Everton threatened. After a humbling 3-0 Champions League exit at Barcelona in midweek, it was not the start Solskjaer had been looking for. After 27 minutes, Everton cleared a United corner and immediately broke on the counter-attack, with winger Bernard playing a delightful ball inside to Idrissa Gueye. With the recalled Romelu Lukaku booed every time he touched the ball by his former fans at Everton, United had little response to an impressive effort from the home side. Not until the 86th minute, and a comfortably saved Anthony Martial strike, did United have a shot on target. ISLAMABAD: Chief Justice of Pakistan (CJP) Asif Saeed Khan Khosa has constituted seven benches at the principal seat Islamabad to hear a number of important cases during the next week, starting from Monday. 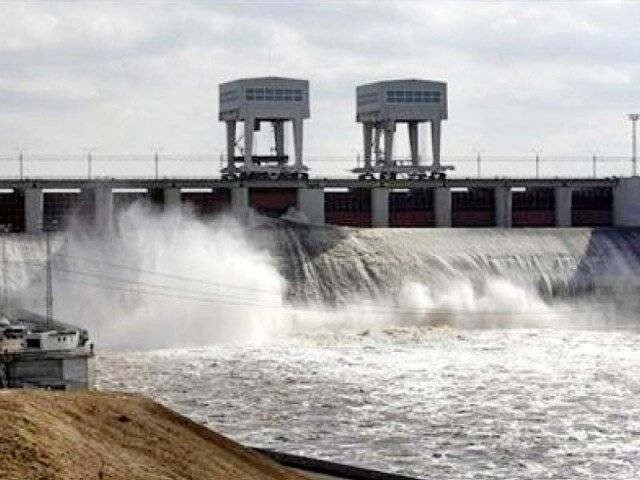 The first bench comprises of CJP Asif Saeed Khan Khosa, Justice Sardar Tariq Masood and Justice Maqbool Baqar while the second bench consists of Justice Gulzar Ahmed and Justice Qazi Faez Isa. The third bench was comprising of Justice Sheikh Azmat Saeed, Justice Faisal Arab and Justice Munib Akhtar. On Friday, the formation of benches would change as the first bench would comprise Chief Justice Asif Saeed Khan Khosa and Justice Mazhar Alam Khan Miankhel while the second will consist of Justice Gulzar Ahmad and Justice Maqbool Baqar. Furthermore, if the counsel is unable to appear for any reason, the advocate-on-record will be required to argue the case. 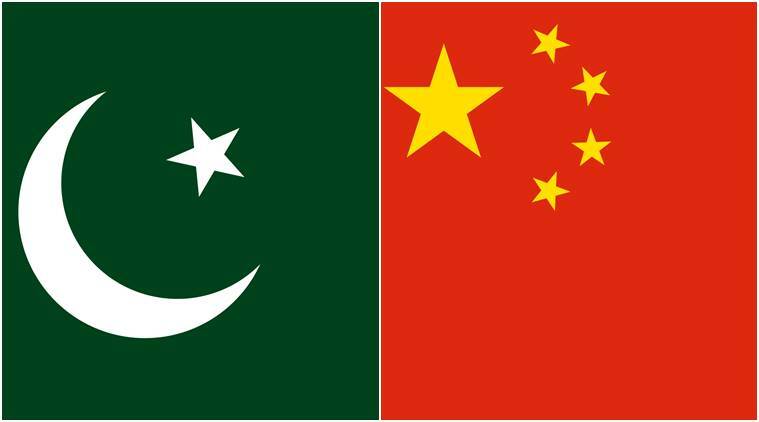 BEIJING: Chinese Academy of Sciences has provided technical support to assist Pakistan in building its infrastructure and mitigating natural disasters, Cao Jinghua, director of international cooperation at the academy said. “We hope our joint research centres and scientific projects will greatly benefit people overseas,” Cao told the Chinese media on Sunday. China, he said, also helped local governments in Sri Lanka, Cambodia, Laos and Tajikistan solve their culinary water problems. The centers are to serve as platforms to enhance scientific cooperation, talent training and innovation capability for China and BRI participants. More than 700 foreign scientists from BRI countries have come to China for their postdoctoral work or visiting research, said Bai Chunli, the academy’s president. ISLAMABAD: Minister for Railways Sheikh Rasheed Ahmed on Sunday said former finance minister Asad Umar was a precious asset of the country and he would bring him back in the cabinet. Nobody had assigned him the task in that regard as he was making efforts on his own to pursue Asad Umar, he said talking to media persons. The minister said he stood with Punjab Chief Minister Usman Buzdar, who was supported by Prime Minister Imran Khan. He congratulated the Christian community on Easter and said it was his ambition to give maximum jobs to the Christians. “I am always there to serve the Christian community and it’s the mission of my life to empower the weak,” the minister said. ISLAMABAD: Foreign Minister Shah Mahmood Qureshi on Sunday telephoned the Sri Lankan Prime Minister Ranil Wickremasinghe to express his deepest condolences on behalf of Prime Minister Imran Khan and the people of Pakistan in the wake of terrorist attacks in Sri Lanka. He stressed that Pakistan fully understood the pain of their Sri Lankan brethren. He said being a victim of prolonged terrorism itself Pakistan stood with Sri Lanka in its difficult hour. Shah Mahmood Qureshi also extended Pakistan’s all out help and support to the government and people of Sri Lanka in this moment of tragedy. A string of blasts ripped through high-end hotels and churches holding Easter services in Sri Lanka on Sunday, killing at least 185 people, including 35 foreigners. 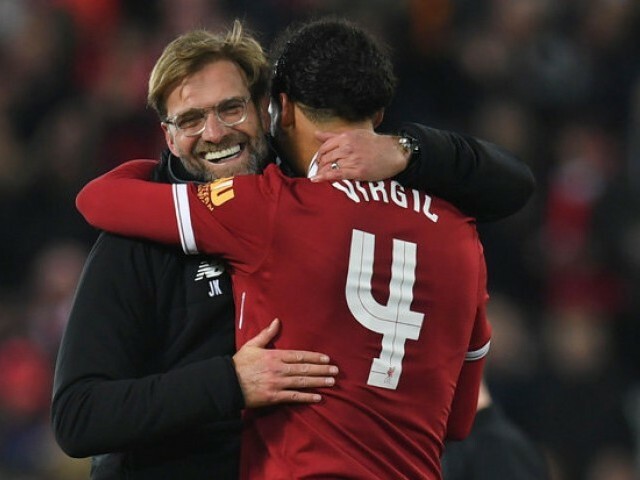 The winner, voted for by the PFA member­s, will be announ­ced on April 28LONDON: Liverpool boss Juergen Klopp said he would be disappointed if defender Virgil van Dijk missed out on the Professional Footballers’ Association’s (PFA) Player of the Year award as he has had an “outstanding season”. Dutchman Van Dijk has transformed Liverpool’s defence since joining the club from Southampton in Jan. 2018, and has been key in the Merseyside club keeping 18 clean sheets in the league this season. “Would I feel sad if Van Dijk doesn’t win Player of the Year? “He’s had an outstanding season. The winner, voted for by the PFA members, will be announced on April 28. 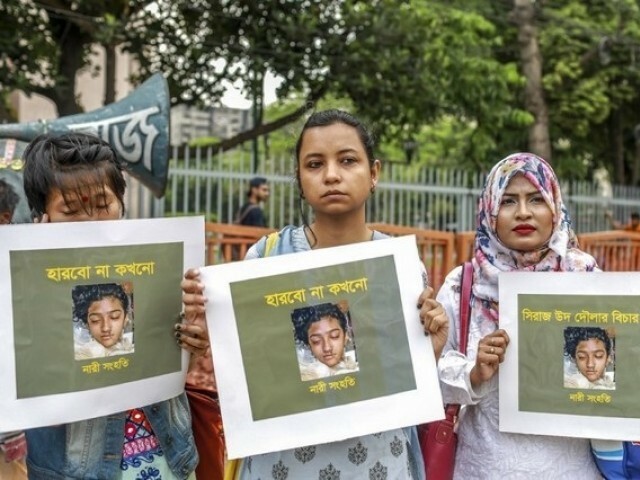 Amid nationwide protests, the Bangladesh government has ordered more than 27,000 schools and colleges to form five-member committee to prevent sexual violence, an official said. They will take steps to prevent sexual harassment and take up any complaints,” the director of the Directorate of Secondary and Higher Education, Shahedul Khabir Chowdhury, told AFP. “I am also a victim of sexual harassment. I think most women in Bangladesh face sexual harassment in their families, schools, markets and workplaces,” she said. Another eight have been subjected to sexual harassment, the group says. Here is a summary of the reactions:Pakistan: ‘We stand with Sri Lanka’Strongly condemn the horrific terrorist attack in Sri Lanka on Easter Sunday resulting in precious lives lost & hundreds injured. Pakistan stands in complete solidarity with Sri Lanka in their hour of grief. — Imran Khan (@ImranKhanPTI) April 21, 2019Prime Minister Imran Khan strongly condemned the “horrific terrorist attack in Sri Lanka on Easter Sunday”. Pakistan stands in complete solidarity with Sri Lanka in their hour of grief,” he tweeted. The attacks in Sri Lanka churches testify to a real genocide perpetrated against Christians.